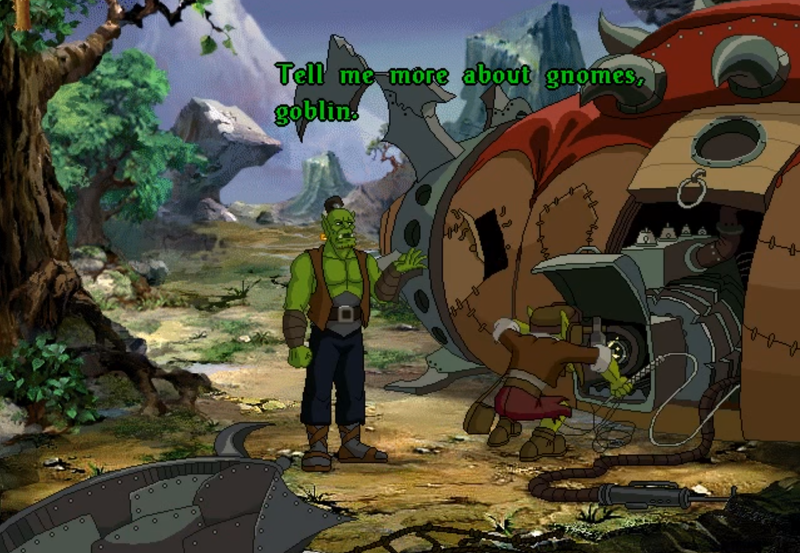 Did you know that Blizzard was working on a point-and-click game called Warcraft Adventures: Lord of the Clans back in the late 90s, but then canceled the project after two years in development? Well the project recently surfaced again when a user by the name of Reidor located in Russia posted a download link for the game in the Scrolls of Lore forum a couple days ago. This post originally appeared 9/11/16. Footage from the game has been circulating for several years now, but nobody ever had access to a proper build of the game. At a file size of approximately 500MB, you can now help Thrall click hopelessly through dungeons and town squares in search of whatever it is he’s searching for, at least until Blizzard gets it taken down. “Sadly, dreams were all this game would ever be. While Blizzard and Animation Magic were at work on the game in 1997, the masters of the adventure genre, Lucasarts, released Monkey Island III, which boasted animation and visuals in excess of what Warcraft Adventures was currently showing off. Making matters worse was that Lucasarts then debuted trailers for Grim Fandango, a fully 3D adventure game, and that blew the ‘quaint’ 2D animation of Warcraft Adventures clean out of the water.